Until recently, my smartphones lived in a variety of places in my car. On the dash, between the seats, or worst case scenario, in my hand. That’s no way to live..or drive. 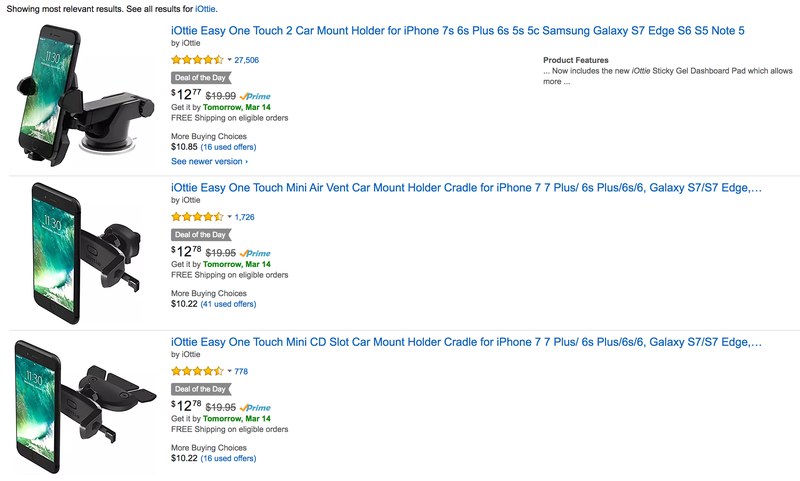 Amazon’s Gold Box today is iOttie One Touch Car mounts for just about anywhere in your car. I personally prefer the suction cup mount that works on windows and many dashboards. However, my wife uses the Air vent mounted system. If you have a car with a slot loading CD player, iOttie even has a mount for that. These are great because they aren’t smartphone specific and even work with bulky cases. They are easy to mount, easy to insert and remove your phone and stay firm for quite some time. 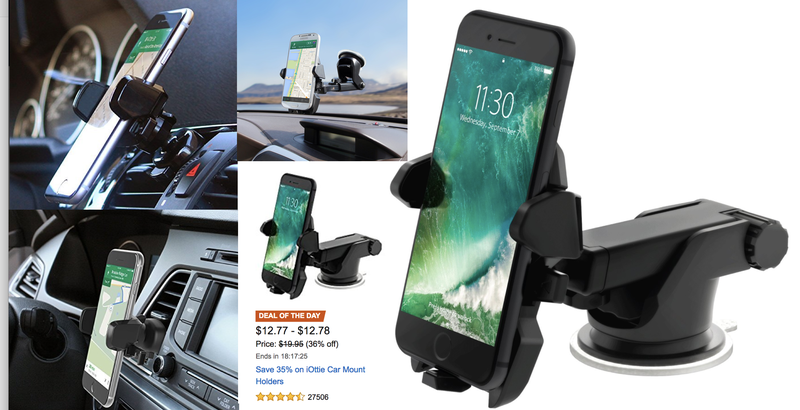 At 35% off today for $12.78/ea, you won’t find a better deal or time to sort out your smartphone car situation. Now includes the new iOttie Sticky Gel Dashboard Pad which allows more flexibility as well as a smooth surface on textured and curved surfaces. Please note: This product opens to 3.2 inches in width, which makes it compatible with the iPhone 6 Plus which is 3.09 inches in width.